Chris Cho was born into the restaurant business in Northeast Philadelphia, but he never intended to make it his life’s work. Despite the fact that he grew up working in the kitchen at his father’s Korean eateries, Chris went into different business ventures as an adult. But when his father landed in the hospital a few years ago, he stepped in to keep the restaurant running—and he loved it. 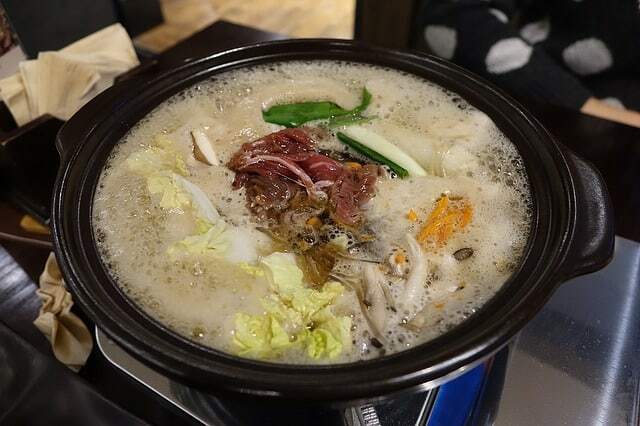 In October, Chris Cho ventured out on his own with Seorabol Center City, spawned by the popular Korean restaurant of the same name in Northeast Philadelphia. Grab a table at Seorabol to try some Korean barbecue, like the SRB galbi short rib, the thinly sliced ribeye steak (bulgogi), or the spicy chicken gui. You can also dig into a rice dish such as the bibimbap, which features a colorful medley of veggies tossed with rice and topped with an egg. If you’re feeling extra adventurous, try one of the chef’s specials, like the spicy stir-fried octopus.